This pair of unworn vintage Anna Walker Arch Joy cutout straps black leather laceup shoes date from the 1940s. They are made of black leather. 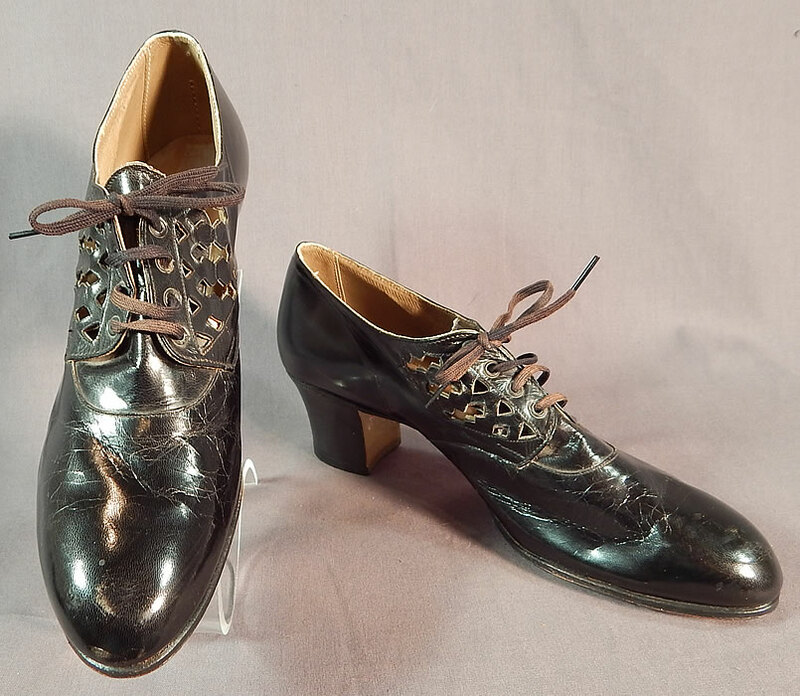 These womens work shoes have decorative geometric shapes, zigzag cutout peekaboo sides, with the original brown shoe string laces, rounded toes and black wooden stacked chunky cube heels. 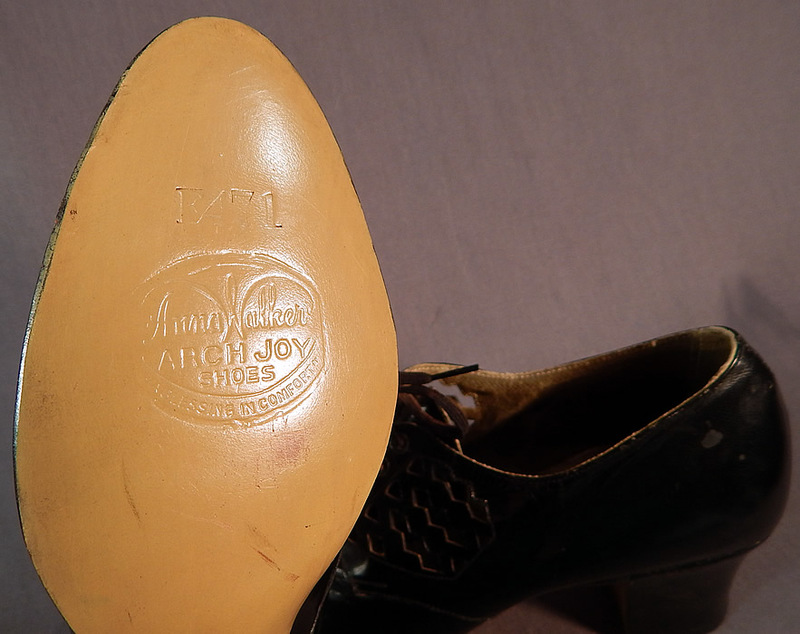 They are embossed on the bottom soles "Anna Walker Arch Joy Shoes" label and stamped inside a size 4 B. 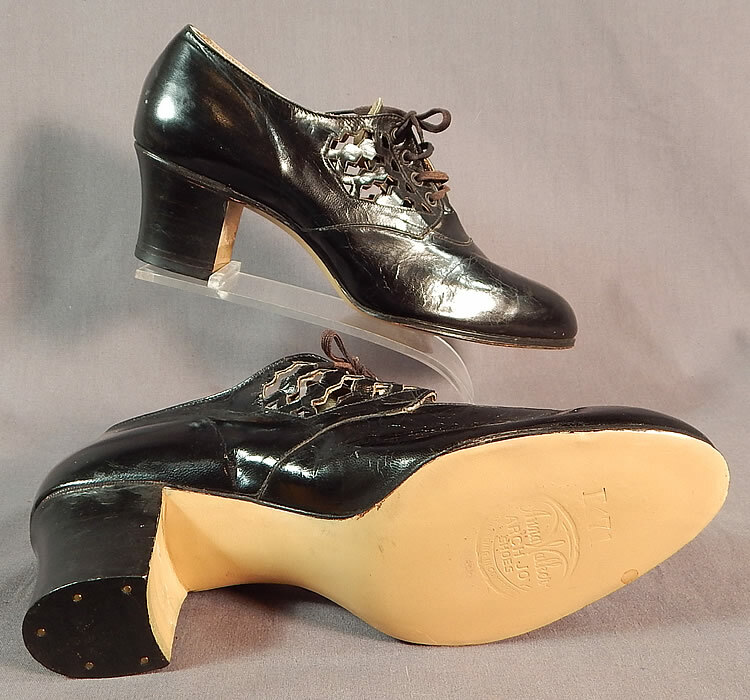 The shoes measure 9 inches long, 2 1/2 inches wide, with 2 inch high heels. 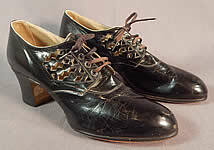 They are in good unworn condition and have some slight crazing on the leather from storage. 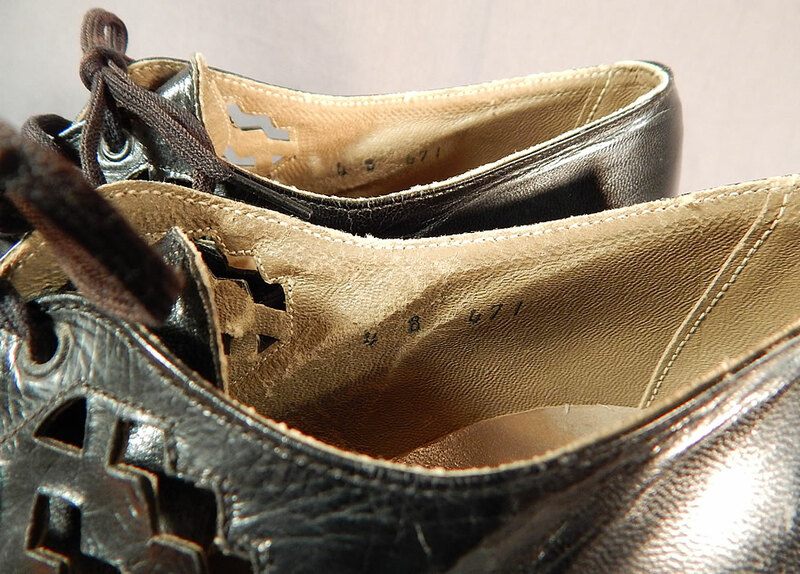 These are truly a wonderful piece of wearable quality made shoe art!